A first century A.D. Roman who came to prominence under Emperor Vespasian, Quintilian wrote about education and rhetoric, exerting a strong influence in the schools the Romans spread throughout the Empire. His influence on education continued from his day until the 5th century. It was revived briefly in the 12th century in France. The Humanists at the end of the 14th century renewed interest in Quintilian and a complete text of his Institutio Oratoria was found in Switzerland. It was first printed in Rome in 1470. Marcus Fabius Quintilianus (Quintilian) was born c. A.D. 35 in Calagurris, Spain. His father may have taught rhetoric there. Quinitilian went to Rome when he was about 16. The orator Domitius Afer (d. A.D. 59), who held office under Tiberius, Caligula, and Nero, taught him. After his teacher's death, he returned to Spain. Quintilian returned to Rome with emperor-to-be Galba, in A.D. 68. In A.D. 72, he was one of the rhetoricians to receive a subsidy from Emperor Vespasian. Pliny the Younger was one of Quintilian's students. Tacitus and Suetonius may also have been his students. He also taught Domitian's two grandnephews. In A.D. 88, Quintilian was made the head of the "first public school of Rome," according to Jerome. Quintilian on the Teaching of Speaking and Writing. Edited by James J. Murphy. 1987. In c. A.D. 90, he retired from teaching. He then wrote his Institutio Oratoria. 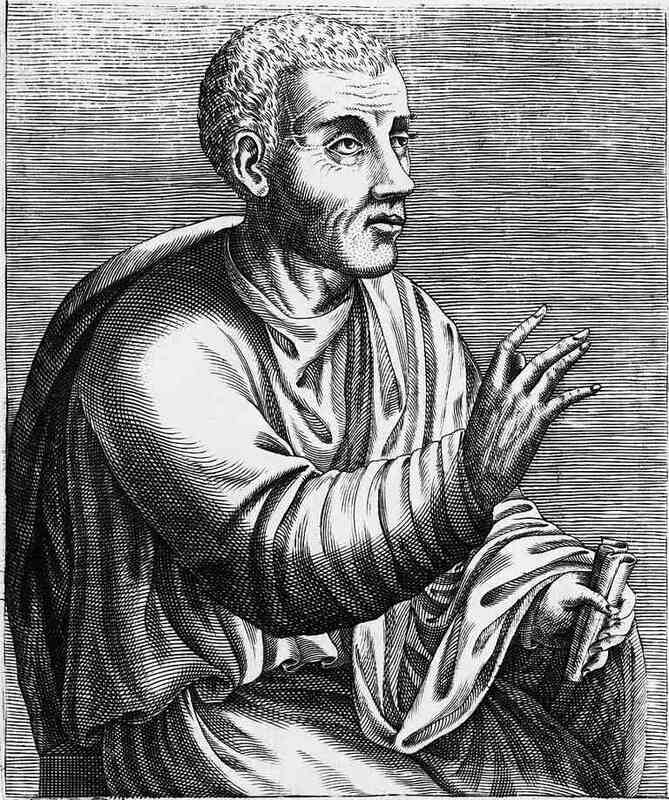 For Quintilian, the ideal orator or rhetorician was skilled in speaking and also a moral man (vir bonus dicendi peritus). James J. Murphy describes the Institutio Oratoria as "a treatise on education, a manual of rhetoric, a reader's guide to the best authors, and a handbook of the moral duties of the orator." Although much of what Quintilian writes is similar to Cicero, Quintilian emphasizes teaching. When Quintilian died is unknown, but it is thought to have been prior to A.D. 100.